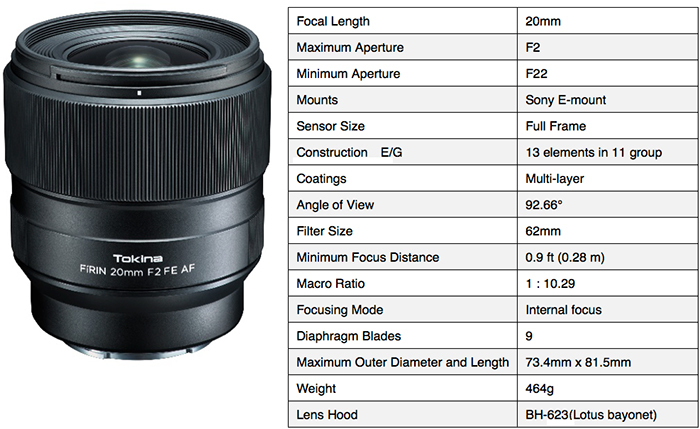 Tokina will make an autofocus version of its Tokina FiRIN 20mm f/2 FE MF first available March of last year. This entry was posted in 3rd Party Lens and tagged FíRIN, Tokina, Tokina FíRIN 20mm F2 FE AF. Bookmark the permalink. Trackbacks are closed, but you can post a comment.